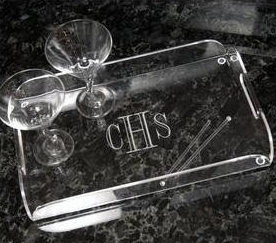 Crafted of sturdy clear acrylic, these trays are ideal for serving drinks or transporting appetizers. Great for parties and everyday use. The trays are durable enough to last through the years while still remaining stylish. With the ability to personalize this item for free, it is great for both giving and receiving for all special occasions. 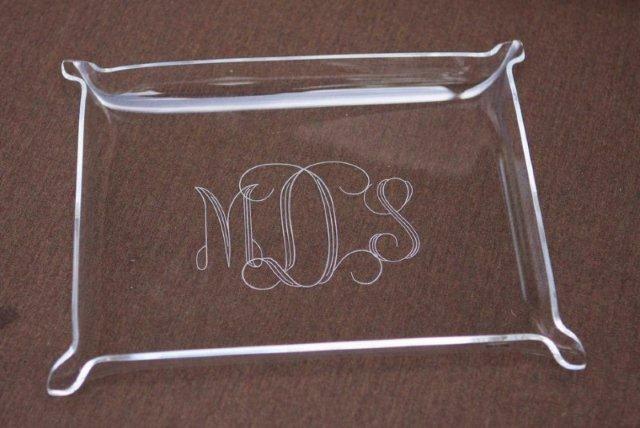 Engraving Options: Our Personalized Serving Tray may be engraved with a monogram or single block initial or a name at No Additional Cost.